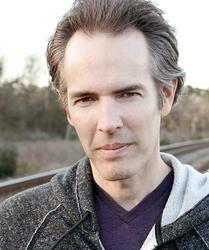 Joe Grisaffi is an actor and award-winning director from Houston, Texas. The films he has directed include Laughing Boy, Dead of Knight, Conjoined, and Lars the Emo Kid. Films Joe has appeared in include Psychic Experiment, Jacob, Doll Factory, The Haunted Trailer and the upcoming films In a Madman's World and Gem of the Rainforest. Joe spent some time at ADV Films where he directed the English dub of Cyberteam in Akihabara and voiced roles in the animes Tears for Tiara, Megazone 23 Part II, Saiyuki and others. Joe is an avid video game collector whose collection consists of home consoles dating back to the 1970s as well as many classic upright arcade games and pinball machines.